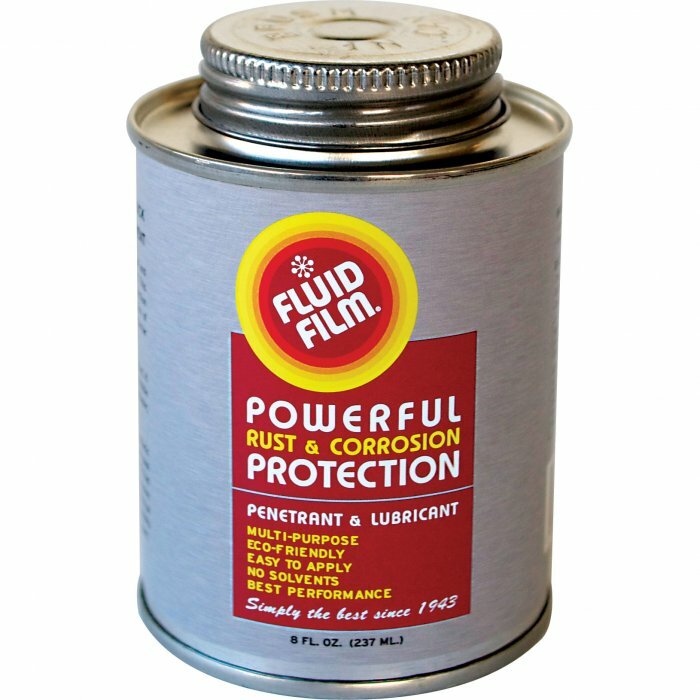 Fluid Film® is a wool wax (lanolin) based rust and corrosion preventive, lubricant and penetrant. 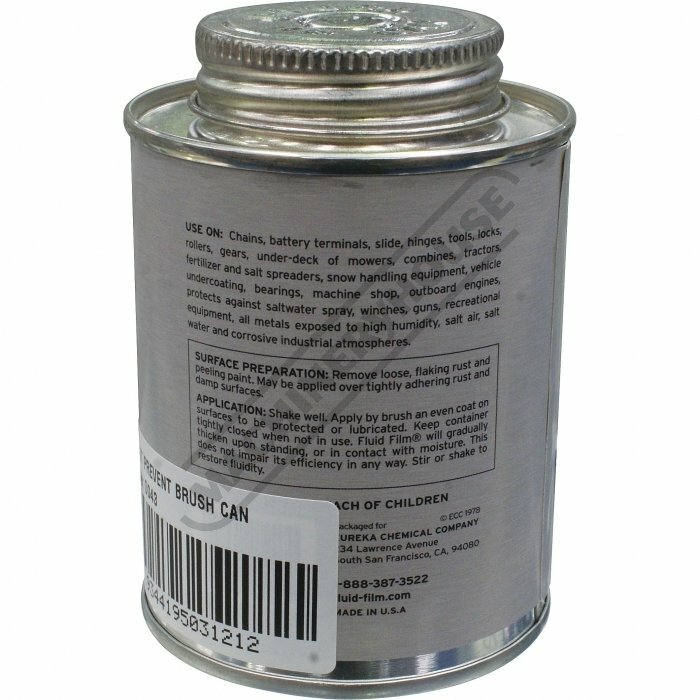 This solvent free formulation provides long term protection of all metals and superior tack-free lubrication of moving parts. Fluid Film® creates a non-drying barrier of protection that moisture cannot penetrate. Fluid Film® stops existing deterioration on contact. It is always active and will migrate into accessible areas, stopping the corrosive effects of salt water, fertilisers and humidity. Fluid Film® will not harm paint, plastic or synthetic rubbers. It resists water wash-off, making it an ideal choice for equipment stored indoors and out. Fluid Film® is non-conductive and supplies corrosion protection to battery terminals, electrical connections and grounding points. Fluid Film® will not freeze and inhibits the build-up of snow and ice. Excellent release agent. 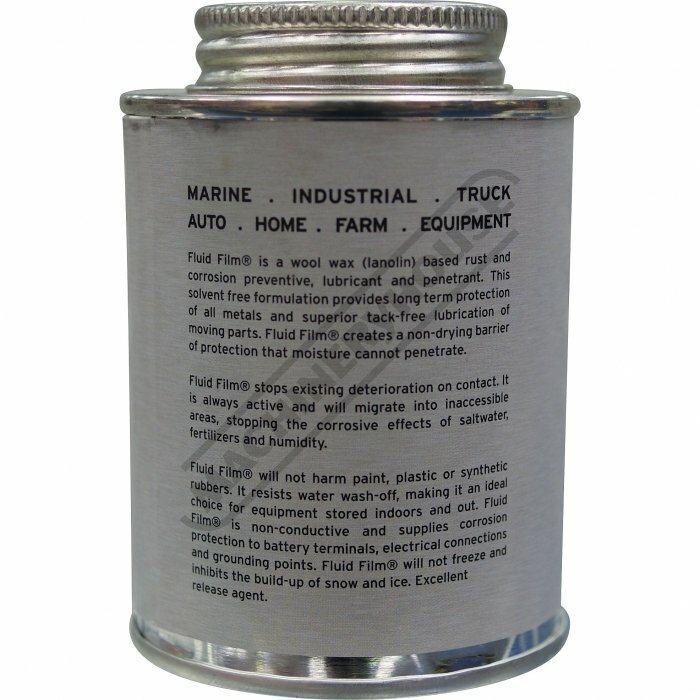 USE ON: Chains, battery terminals, slide, hinges, tools, locks, rollers, gears, under-deck of mowers, combines, tractors, fertiliser and salt spreaders, snow handling equipment, vehicle undercoating, bearings, machine shop, outboard engines, protects against salt water spray, winches, guns, recreational equipment, all metals exposed to high humidity, salt air, salt water and corrosive industrial atmospheres.